A towering philosophical novel that is the summation of her Objectivist philosophy, Ayn Rand's Atlas Shrugged is the saga of the enigmatic John Galt, and his ambitious plan to 'stop the motor of the world', published in Penguin Modern Classics. Opening with the enigmatic question 'Who is John Galt? ', Atlas Shrugged envisions a world where the 'men of talent' - the great innovators, producers and creators - have mysteriously disappeared. With the US economy now faltering, businesswoman Dagny Taggart is struggling to get the transcontinental railroad up and running. For her John Galt is the enemy, but as she will learn, nothing in this situation is quite as it seems. Hugely influential and grand in scope, this story of a man who stopped the motor of the world expounds Rand's controversial philosophy of Objectivism, which champions competition, creativity and human greatness. Ayn Rand (1905-82), born Alisa Rosenbaum in St. Petersburg, Russia, emigrated to America with her family in January 1926, never to return to her native land. Her novel The Fountainhead was published in 1943 and eventually became a bestseller. Still occasionally working as a screenwriter, Rand moved to New York City in 1951 and published Atlas Shrugged in 1957. Her novels espoused what came to be called Objectivism, a philosophy that champions capitalism and the pre-eminence of the individual. 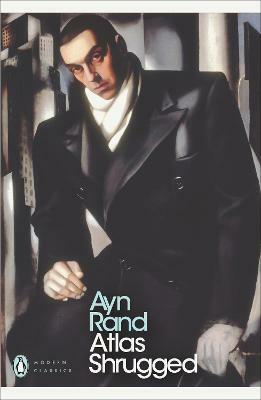 If you enjoyed Atlas Shrugged, you might like Rand's The Fountainhead, also available in Penguin Modern Classics. Ayn Rand (1905-1982) is best known for her philosophy of Objectivism and her novels We the Living, Anthem, The Fountainhead, and Atlas Shrugged.